From 100 South, turn south at the traffic light onto 1455 East. 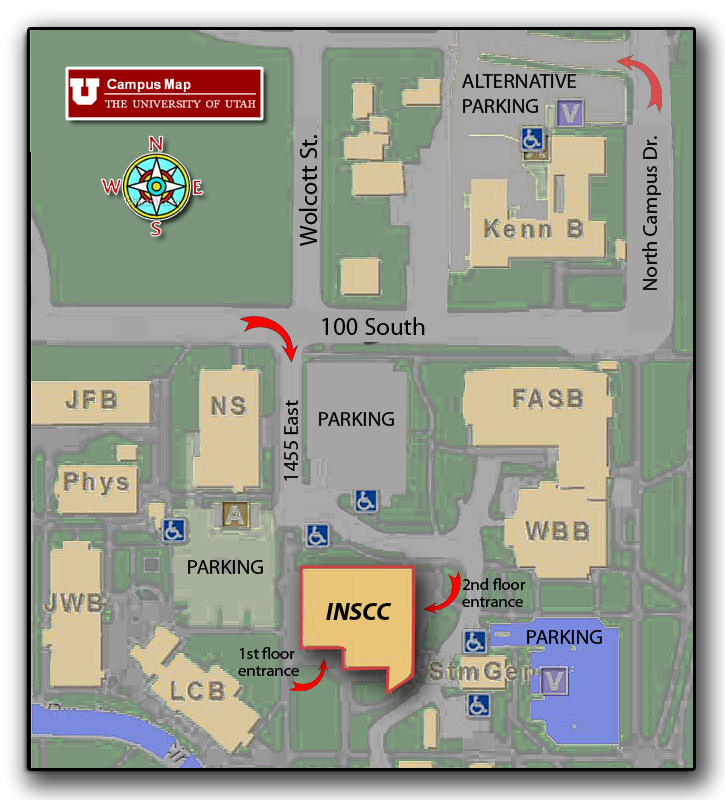 Free parking after 6:00 p.m. is available in the parking lots to the west, east and north of the INSCC building. Although, recently Kingsbury Hall has often been reserving the parking lots west and north of INSCC for Valet, Special Permit and $6.00 Paid Parking. Additonal parking is available further north off North Campus Drive, next to the old Kennecott building. Entrances to the building are on the south or east and the VisLab Black Box, RM 294 is on the second floor.